07.22.06 Harlow B. Daly won the Maine State Championship an unprecedented seven consecutive times from 1959 to 1965. He also chalked up another two wins in 1969 (sole first) and 1970 (shared with Stanley Elowitch). 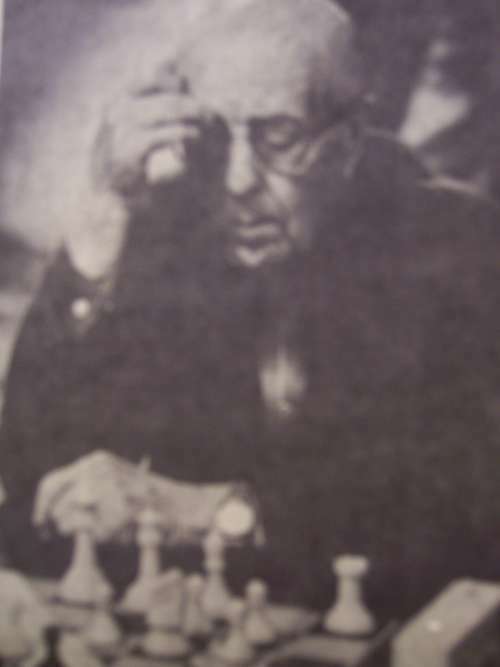 During his long chess career, Mr. Daly played in numerous simultaneous exhibitions against a cadre of chess paragons including the likes of Alexander Alekhine, Emanuel Lasker, Harry Nelson Pillsbury, Jacques Mieses, Frank J. Marshall, Ruben Fine, Carlos Torre and Arthur Dake. Harlow Bussey Daly was born on December 2, 1883 in Dorchester, Mass. He graduated from Boston Latin High School and went to work for the United Shoe Machinery Company in Boston. In retirement, Daly spent some seventeen years in Sanford, Maine, he passed away in 1979. Over a career that spanned seventy-five years, Daly collected many chess tournament wins throughout New England. He won the New England Championship in 1908 which started a string of victories in many Massachusetts, Boston, Vermont and New Hampshire Championships. Daly holds two records in Maine Chess that still stand to this day. His fantastic run of seven consecutive Maine State Championship titles from 1959 to 1965 has not been replicated before or since. His other stunning accomplishment? He was eighty-six years old when he won the Maine State Championship in 1970--the oldest person ever to be crowned Maine State Champion. This is Daly's earliest game on record. Jacques Mieses (1865 - 1954) was an International Grandmaster. He was born in Leipzig and attended Leipzig University. He came to England just before WW II and became a British citizen. He had a keen sense of humor and once asked, "Don't you think my German is very good for an Englishman?" The greatest performance of his career was 1st in Vienna in 1907 ahead of Duras, Maroczy, Tartakover, Vidmar, Schlechter, and Spielmann. Harry Nelson Pillsbury (1872 - 1906) is one of America's most famous players. He was dubbed "The Hero of Hastings" when he went to England as a relative unknown to participate in the 1895 Hastings International Tournament and ended up winning. Pillsbury was born in Somerville, Mass. He learned to play chess when he was 16, by the time he was 21 he was one of the strongest players in the United States. Emanuel Lasker (1868 - 1941) needs no introduction. World Champion from 1894 when he defeated Steinitz, until he conceded the title to Capablanca in 1920, his records in international tournament play are astounding. He was 1st at St. Petersburg in 1895-1896, 1st at Nuremburg in 1896 and beat Steinitz again in a return match. His greatest tournament achievement is considered St. Petersburg in 1914. In the final round of this tourmnament Lasker faced Capablanca, Alekhine, Tarrasch and Marshall two games each. He scored 7 out of 8 beating Capablanca by half a point. He continued playing chess until later in life and scored 66% in Moscow in 1935. Frank J. Marshall (1877 - 1944) was an International Grandmaster and United States Champion from 1906 - 1936. His greatest tournament success was his 1st at Cambridge Springs in 1904 ahead of Lasker, Schlecter, and Janowsky. He lost a World Championship bid to Lasker just two years before this game with Daly. In this game, Mr. Daly again draws Emanuel Lasker during an exhibition at the Boston City Club in 1924. 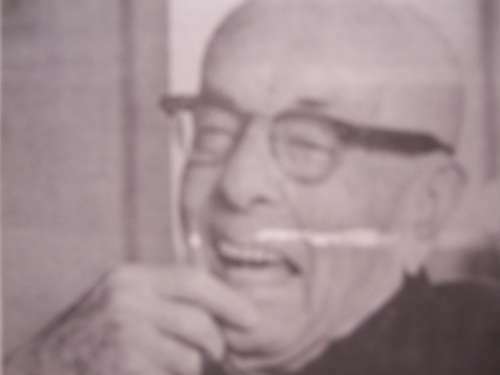 Carlos Torre (1904 - 1978) was Mexico's first Grandmaster. He was Mexican Champion and also won the U. S. Open in 1924. Charles Sharp was a member of the Portland Chess Club. In this game Daly knotches a point for the Boston club in its 6 1/2 to 1/2 rout of Portland. Alexander Alekhine (1892 - 1946) was an International Grandmaster and World Champion from 1927 - 1935 and from 1937 - 1946. He was one of the greatest players of all time. Born in Moscow, Alekhine was taught chess by his mother and became enthralled with the game. In 1920 Alekhine won the first Soviet Championship. From 1921 until he wrested the title from Capablanca in 1927, Alekhine had strong international tournament results. He was 1st at Triberg, Budapest and The Hauge in 1921, 1st at Hastings in 1922, 1st at Carlsbad in 1923, 1st a Baden-Baden in 1925 and 1st at Kecskemet in 1927. To prepare for his match with Capablanca, Alekhine studied his opponent's games with utmost precision and defeated the World Champion 18 1/2 to 15 1/2. He lost the title to Euwe in 1935 but quickly regained it in a rematch in 1937 and held it until his death in 1946. Max Euwe said of him, "He is a poet, who creates a work of art out of something which would hardly inspire another man to send home a picture postcard." in 1946, FIDE erected a monument in his honor at the Montparnasse Cemetary in Paris consisting of a statue of Alekhine sitting at a chessboard. Arthur Dake (1910 - 2000) was an International Master who played for the United States at the 1931, 1933 and 1935 Chess Olympiads. His greatest international tournament successes were 1st at Antwerp in 1931, 3rd at Pasadena in 1932 in whcih he defeated Alekhine, 3rd at Syracuse in 1934, 1st at Mexico in 1934 and 2nd at Milwaukee in 1935. Reuben Fine (1914 - 1979) was an International Grandmaster and United States Open Champion in 1932, 1933, 1934 (co-champion with Reshevsky) 1935, 1939 and 1940. Fine was a Doctor of Philosophy and a psychoanalyst. He authored many books including: Basic Chess Endings, The Ideas Behind the Chess Openings, The Middle Game in Chess and Practical Chess Openings. Daly, approaching 80 years old, played this game in the 6th round of the Maine Open in Portland on November 10, 1963. Harlow was a fine gentleman, loved and respected by all. He requested that on his death his wife should distribute his chess books among his chess friends, and I was so honored.